Hillel Kook, “Hillel Kook,” Histories of the National Mall, accessed April 22, 2019, http://mallhistory.org/items/show/119. Hillel Kook was a Jewish activist and member of the Revisionist Zionist movement who was also known by the alias Peter Bergson. 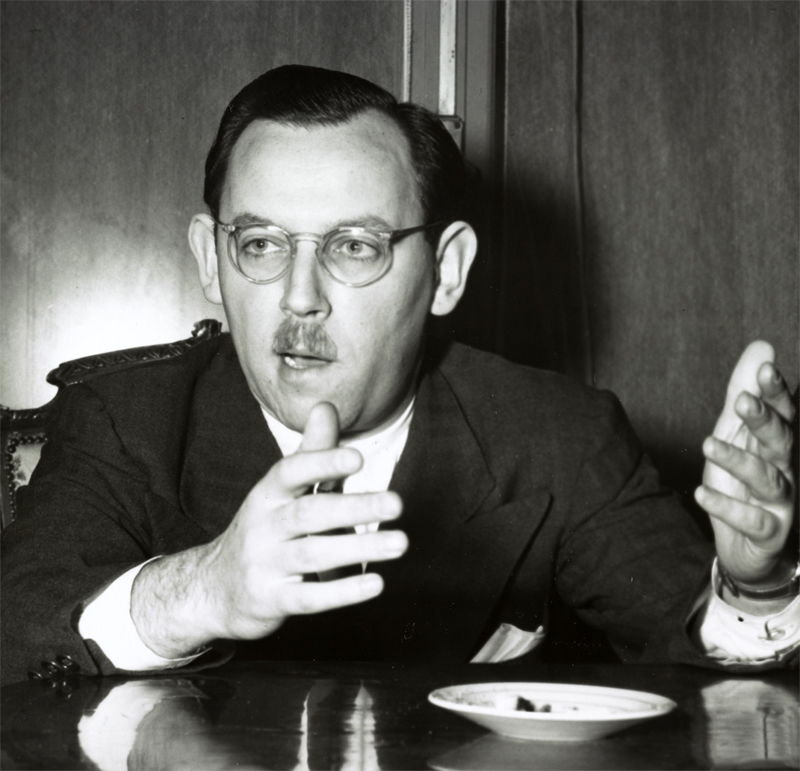 He lived in the United States during World War II and led the Emergency Committee to Save the Jewish People of Europe. In October 1943, Kook organized a march on Washington of nearly 500 Orthodox Rabbis in support of the Allied Forces, but also calling for more aid for European Jews. The rabbis gathered at the Lincoln Memorial and at the Capitol, giving addresses and offering prayers at both locations. President Roosevelt declined to meet with the group. Hillel Kook was born in 1915. His father was a rabbi, and his uncle was the first Ashkenazi chief rabbi of the British Mandate in Palestine. His family moved to Palestine in 1924. By the late 1930s, Kook had become an activist member of the Revisionist Zionism movement, a nationalist group within the Zionist movement, and he was a member of the group Irgun, a paramilitary Zionist group. Kook travelled to the United States in 1940 in the company of the founder the Revisionist Movement. There, he adopted the name Peter Bergson for his political work in the United States, so that his actions would not be associated with his family back in Palestine. Following the outbreak of World War II, as news of the Holocaust began to reach him, Kook worked to raise awareness in the United States of the dangerous situation for European Jews. With a group of like-minded activists, he took out full page newspaper ads reporting stories from Europe and even staged an event in Madison Square Garden to memorialize those who had already been killed. In October 1943 he organized a march of Orthodox Rabbis on Washington to raise awareness and advocate for more decisive action by American forces to help European Jews. The march, and Kook's activities in general, were not viewed favorably by some Jewish Americans, included the American Jewish Conference. The AJC, most of whom were Reform or Conservative Jews, believed that the best way to help European Jews was to defeat the Nazis, and they worried that activism like Kook's might stir up anti-Semitic sentiment in the United States. After the end of the war, Kook turned his attention to advocating for the establishment of Israel. He served as a member of the Israeli Parliament. He died in Tel Aviv in 2001.